The Late Superintendent Charles E. Giddins Sr. Teacher, Leader, Prophet, Apostle, Planter of Churches, Lover of God's men, women and young people everywhere; was born at King and Queen County, Virginia. Son of Sidney and Annie Lee. Raised in the Church of God in Christ. Turned his life over to the Lord at the age of 18 under the Pastorate of Supt. Benjamin Troop Morris of Faith Holy Temple Church. Married in 1946 to the late Evangelist Adele Giddins, to which 4 children were born from this union. Served in his local church in many capacities such as YPWW president, Sunday School Teacher, Youth Leader, Deacon's Board, Asst. Pastor and this list goes on. Served in the Camden District under the leadership of his pastor, Supt. B.T. Morris as Treasurer, Youth Leader, and also served on the Board of the Camden District. His educational achievements included a Bachelor's degree in Education from Rowan University, Engineering/Electrical Certification from Temple University, Doctorate and Master's Degrees from Jameson Bible College, and theological training at the Philadelphia Bible College. Became an Ordained Elder in 1954 under Overseer/Bishop Wells (State of New Jersey), called by God to the pastorate in 1956, and founded Victory Temple Community Church, Inc. in 1960. In 1968, God directed Supt. Giddins to continue to build the work that Elder Dockery founded in Atlantic City, NJ and was chosen by the congregation to serve as Pastor of Mt. Zion Church. Supt. Giddins served as Superintendent of the Garden State District (now First Garden District) since 1968, while serving under Bishop Gilmore. During the Dark Ages of the Church of God in Christ, Supt Giddins began to follow the leadership of Senior Bishop of COGIC, Ozro Thurston Jones Sr., also the Bishop of the Commonwealth of Pa. Supt. 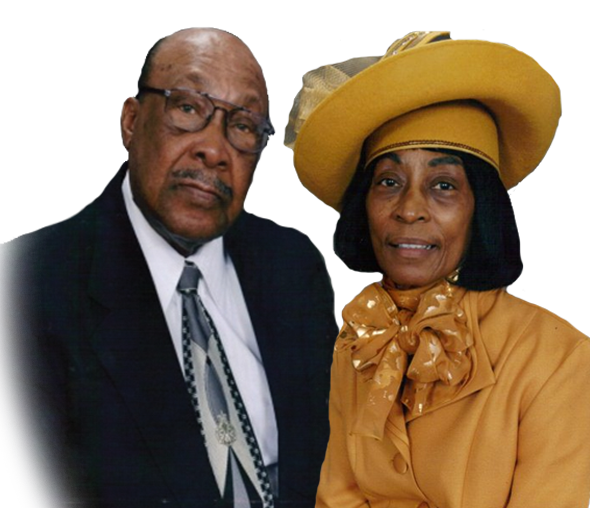 Giddins served under both Bishop Jones Sr. and Bishop Jones Jr. in the Commonwealth of Pa until the year of 2000. It was at that time that the newly installed Prelate of the Commonwealth of Pa, Benjamin Ravenel, that Supt. Giddins was offered to serve as the Chairman of the Board of Superintendents and Second Assistant to the Jurisdictional Prelate of the Commonwealth of Pa. However, seeing the need for a Jurisdiction in South Jersey, Supt. Giddins, chose to serve alongside Bishop Curley Guidry as First Administrative Assistant and help build the South Jersey Jurisdiction. Supt. Giddins served as Senior Pastor of both Victory Temple Community Church in Camden and Mt. Zion Church in Atlantic City, NJ. In 2010, Supt. Giddins Sr., celebrated his Jubilee (50th) year as Senior Pastor of Victory Temple Community Church, where he continues to function as one of the Greatest Generals in the Gospel. On Sunday March 2, 2014 Superintendent Charles E. Giddins Sr was given the ultimate promotion to heaven. Victory Temple Community Church and Mt. Zion Church will forever be grateful for the many years of service and the countless lives he impacted. The Late First Lady Adele Giddins was a native of Camden New Jersey. She accepted Jesus Christ as her personal savior at the tender age of 17. As the wife of the Late Supt. Charles E. Giddins they are the proud parents of two daughters, Brenda Moragne and Charlette Purnell, and one son, Elder Charles Giddins Jr. They are also blessed with nine grandchildren and seven great grandchildren. Mother Giddins received a bachelor’s degree from Rowan University and also held a Masters degree in Education and an Honorary Doctorate in Theology. She was employed by the Camden School System for 30 years. She has taught children on the elementary, middle and high school level. Her goal and dream was to help young people get the best education possible. Each student was special to her and she provided learning opportunities that helped them to succeed. She was an effective and caring teacher. Mother Giddins was licensed as an Evangelist Missionary in 1970 and worked closely with the National Supervisor at that time, Mother Bailey. Over the years she served in various roles in the church. In 1972 she helped to establish the Adele Scholarship Foundation. This foundation acknowledges all students who graduate from high school. The mission and aim of this foundation is to encourage young people everywhere to increase their learning, knowledge and wisdom. She developed Christian education programs and had an after school bible study for city youth. She was a gifted teacher and has taught Sunday school for many years. Every summer she conducted Vacation Bible School. Mother Giddins was a prayer warrior as well as an anointed speaker and has been the guest speaker for many Women’s ministry services. On Thursday May 16, 2013 Mother Adele Giddins was given the ultimate promotion to heaven. Victory Temple Community Church Thanks her for her countless years of service and love.